Students earned an estimated $2,000 selling products at the MOB Market Fair. Trenton’s P.J. Hill Elementary School was bustling with activity and entrepreneurial spirit on April 5, as Trenton students donned their entrepreneurial caps and participated in the 18th annual Minding Our Business (MOB) Market Fair Day. PRLog (Press Release) – Apr. 8, 2014 – Trenton’s P.J. Hill Elementary School on East State Street was bustling with activity and entrepreneurial spirit on Saturday, April 5, as Trenton students donned their entrepreneurial caps and participated in the 18th annual Minding Our Business (MOB) Market Fair Day. For five straight hours, 90 students from Luis Munoz-Rivera Middle School, Joyce Kilmer Middle School, P.J. Hill Elementary School or Village Charter School who are enrolled in Minding Our Business’ Service Learning Program worked hand in hand with 25 Rider University student mentors to sell the products of businesses they created. The day included performances by Lenny G & the Soul Senders, a Philly blues band, DJ Toote, The New Millennium Drill Team. Minding Our Business, Inc. (MOB) is a new independent 501(c)3 nonprofit organization that had operated for more than 16 years as a community outreach program of Rider University’s College of Business Administration. With a mission to change the lives of low income youth and adults and their communities through entrepreneurship, it is committed to helping urban students identify and work toward their dreams. 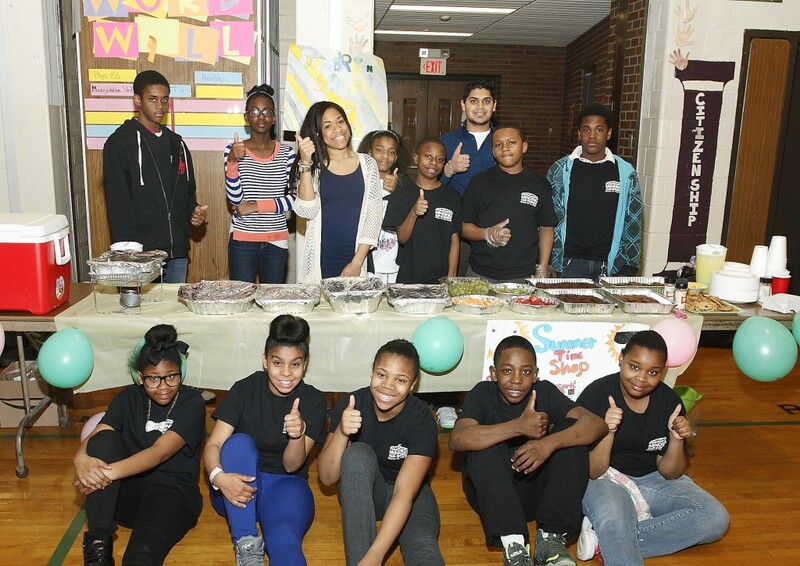 MOB has trained and mentored more than 3,000 Trenton middle school students in starting and running their own businesses since 1997. MOB currently operates a variety of after school and summer educational and mentoring programs focused on entrepreneurship and experiential learning. Each MOB program emphasizes business training, as well as math, reading, communication and life skills. Donations are critical to the organization, and major financial supporters currently include the Princeton Area Community Foundation, ETS, The Princeton Regional Chamber of Commerce, Nordson Foundation, PSEG, Investors Bank Foundation, Sam’s Clubs, AT&T, and Janssen Pharmaceuticals. For further information about Minding Our Business, and/or to donate to support its efforts, please visitwww.minding-our-business.com or call Executive Director Kevin Wortham at 609-731-9311.